Just a reminder as sign-ups start TODAY in stores! This is different than it was previously done! 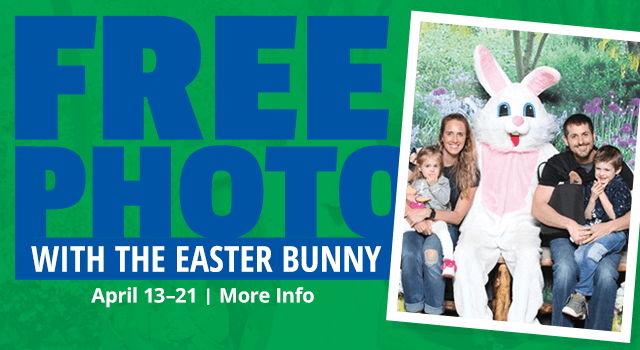 Bass Pro Shops & Cabela’s – Free Photo w/ Easter Bunny This Week! Head to Bass Pro Shops and Cabela’s Stores where you’ll be able to score a FREE Photo with the Easter Bunny all this week! There will also be FREE Giveaways, Crafts, and MORE! It’s all building up to their big Easter Egg Hunt on Saturday! New JCPenney Kids Zone Event Dates! Here are some fun activities for the kids…and a chance for you to get some shopping done! Stop by your local participating JCPenney Kids Zone on select Saturdays from 11 a.m. until 12 p.m. where kids will get to enjoy a FREE activity (while supplies last)! Parents will also receive a 10% off coupon to use all day! Petsmart – Free Picture with the Easter Bunny This Weekend! Take your pet to see the Easter Bunny! On Saturday, April 13th and Sunday, April 14th, from 12-4 p.m., Petsmart will be offering a FREE photo opportunity with the Easter Bunny! Kids are welcome too! Michael’s – Kids Can Make Ear-resistible Easter Slime on 4/13! Mark your calendar and plan to head to Michael’s on Saturday, March 13th from 1-3 p.m., where kids can make Ear-resistible Easter Slime! How cute! Do note that you will be required to purchase a jar. I did check with my local Michael’s and they anticipate that it will be just $1.